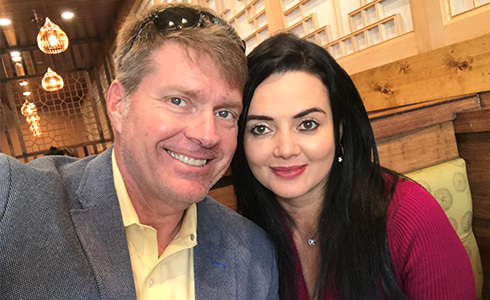 The transition from military to civilian life can be difficult, but for Mark Kobe, Independent Business Owner (IBO), the PURE products and opportunity made the transition that much easier. 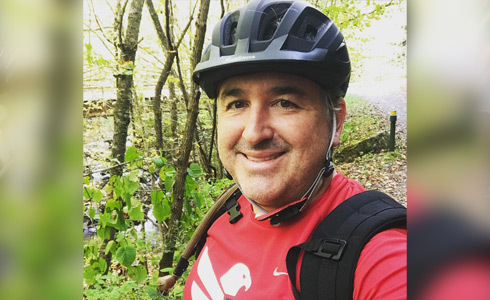 Mark served in the U.S. Army from 1995-2015, stationed in New York, North Carolina and Maryland, as a Signals Intelligence professional and Spanish linguist. He received the Air Medal and other medals for deployments to Afghanistan, Africa, Bosnia and South America. Mark is most proud of the time he served with a Special Missions Unit in Maryland. He was one of less than 1% of the total military who was accepted into this unit. After retiring, he was employed under the Secretary of Defense. He discovered PURE: People United Reaching Everyone in August 2018. PURE gave Mark and his wife a vehicle through which they could reach their financial goals and generate residual income for their future. After retiring from the military after a full 20-year career, Mark was starting from scratch at the age of 46. He wanted to add another stream of income to his pension and disability. Mark decided to forgo his usual workout supplement regime to try PURE’s GPS line of products. After using all six products for three months, Mark noticed results, as did his friends and family whom he exercises with. Mark is a true hero in our eyes. He is living the PURE philosophy by sharing the opportunity and the wonderful benefits of our high-quality products with others. We are blessed to have him as part of the PURE family. We all live extremely busy lives. Does it ever feel like there is not enough time to finish what you started? Are you always adding something else to your to-do list? If this sounds like you, it’s time to make your days easier by participating in PURE’s Autoship program. The benefits are amazing, and you’ll find it can help you save time and make you more efficient! Autoship is a convenient way to have products shipped automatically to your doorstep every 28 days. You never have to remember to place your orders for products you share or consume most frequently. Set the schedule you want for when your products ship to you. Being on Autoship allows you to participate in the PAR Perks Promotion every month. The first full week of every month, PURE offers exclusive product promotions for that week only. Those who are PAR Perk qualified can take part in these promotions. Call Sales Support at 866-535-5888 to participate. Growing your business means ensuring your IBOs and customers are receiving products every month. If one or more of your customers are purchasing the same products repeatedly, introduce them to the Autoship Program. They will certainly appreciate the convenience and savings. When participants have 12 consecutive Autoship orders, their yearly renewal fee of $25 will be waived. You can easily make changes as your product needs change. Adjust quantities and frequency, add another shipping address, update a credit card and more! Do you already participate in the Autoship program? How has it benefited you? Share you story with us @livepureglobal. *Products purchased using PAR Points are non-commissionable and do not satisfy Volume requirements. Points are accrued on each PAR order processed every 28 days and can only be accrued until a maximum of 75 points is reached within a single month. No returns are allowed on products purchased with PAR Points. Accrued PAR Points are forfeited once there have been 2 consecutive months on the account without a PAR order being processed. PAR Points are to be applied only for the purchase of select products and cannot be used to cover shipping and handling costs. **Products available for redemption may change based on availability. Click here to see a list of redeemable products. Meet Santiago, a PURE Independent Business Owner and Navy veteran. He joined PURE in August 2018 because he liked the products, but he was even more attracted by the company’s philosophy of reaching out and helping others. Santiago grew up in Miami, Florida. After graduating high school, he did basic training and boot camp, spending time in Virginia Beach training to be an Operation Specialist. He then went on to join the Pre-commissioning Detachment crew in San Diego, California to commission the USS Essex (LHD-2). On board this massive amphibious ship, Santiago operated radar, navigation and communications equipment in the combat information center and on the ship’s bridge. At the end of his naval career, Santiago was deployed in the western Pacific where he got to visit Hong Kong, Singapore, Dubai and Australia. After serving four years in the Navy, Santiago returned to civilian life attending school to study marketing and advertising. 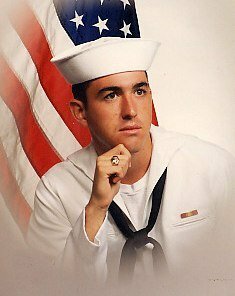 One important lesson he learned during his time in the Navy was the importance of physical fitness in daily life. To stay fit, Santiago meets up regularly with other veterans and civilians to participate in ruck hikes, marching long distances over varied terrain while carrying a weighted (40-60 lbs.) pack. He is also involved with GORUCK, an organization that leads coordinated events led by veterans of the Special Operations community to help transition military to the civilian world. Santiago, and other veterans, have given so much and deserve that type of support in return. Here at PURE, we proudly support all veterans and active military. Help veterans and their families by going here where you will find resources to offer support. Are you interested in the PURE opportunity? Visit livepure.com or contact our Sales Support Team at salessupport@livepure.com or 866-535-5888. 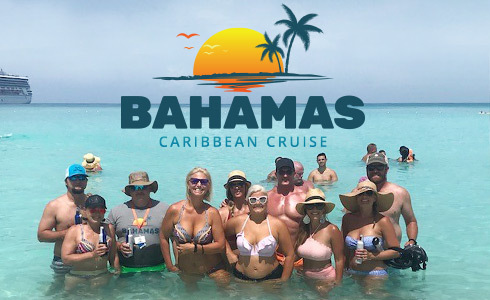 PURE Independent Business Owners (IBOs) from around the U.S., and corporate staff attended the PURE Destinations 2018 Bahamas Caribbean Cruise on the Carnival Conquest to celebrate accomplishments, relax and build lasting relationships. Approximately 100 attendees sailed from August 11-16 and enjoyed beautiful ocean views, plenty of sun, delicious meals and plenty of beach time. 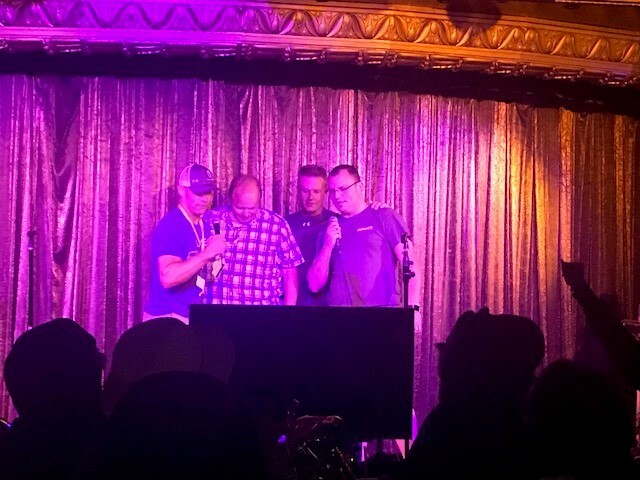 To kick off the festivities, IBOs were invited to a reception Saturday night where they were warmly welcomed by Black Diamond IBOs and PURE CEO, Daren Hogge. On Sunday, guests arrived at Nassau where they had the entire day to discover the island on their own. They visited the Atlantis waterpark and shopped for souvenirs at the stylish boutiques. The peaceful, serene waters provided the perfect backdrop for snorkeling the coral reefs. At the end of the day, guests were treated to a formal Bahamian dinner. On Monday, the ship arrived at Half Moon Cay. Guests enjoyed lounging on the white sand beach and swimming in the beautiful, blue water. Others chose to saddle up for horseback riding in the water and on land. And, they all enjoyed fellowship, their highlight of the trip. On Tuesday, guests enjoyed fun leisure activities at Grand Turk. They relaxed on the beach and snorkeled the beautiful water. The more adventurous chose to zip-line while others shopped for local wares. Wednesday was spent onboard and there were plenty of activities to enjoy — massages, gambling, onboard shopping, yoga, friendly basketball competitions and their favorite, Karaoke! Apparently, we have some really good vocals among our PURE IBOs! Guests also attended a business meeting that morning where they received valuable training from members of the Leadership Advisory Council. 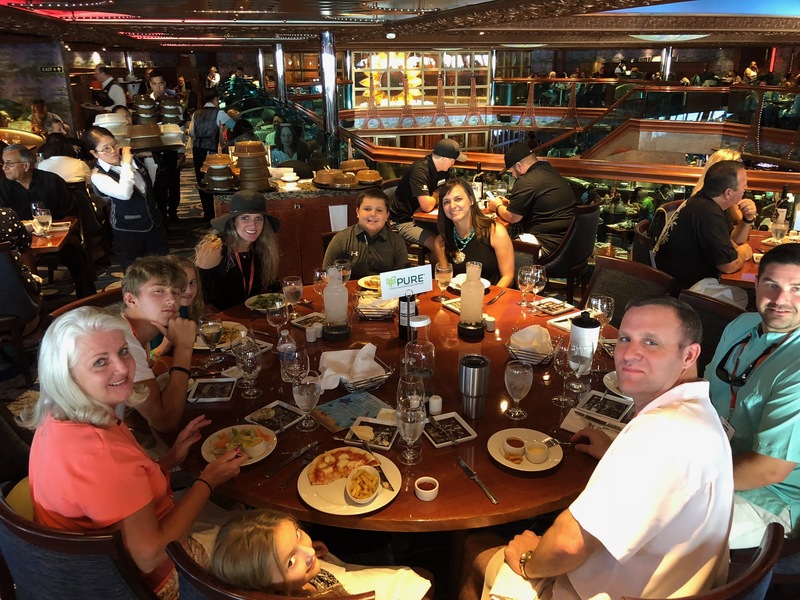 As cruise attendees disembarked in Ft. Lauderdale, Florida on Thursday, they returned to their homes motivated to take on the rest of the year with enthusiasm. Get ready to experience paradise and live the PURE lifestyle on the 2019 PURE Destinations Eastern Caribbean Cruise setting sail on February 10. We can’t wait to see you on board! PURE is transforming lives as shared in this story from PURE Independent Business Owner (IBO) Nancy Cayetano. A stay-at-home mother of two children, Nancy discovered PURE two years ago. Prior to her joining PURE, Nancy weighed 300 pounds. She was unhappy with the way she looked and tried everything she could to avoid people, reflections, mirrors and cameras. She was tired of being lonely and was feeling trapped in a body full of toxins. 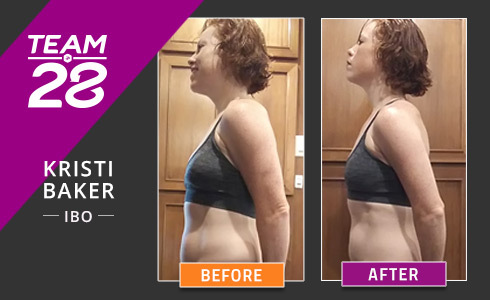 Nancy chose bariatric surgery; however, after only a year, she regained all of the weight. She felt like she was back to square one. She knew she wanted to change and that it wasn’t going to be easy. 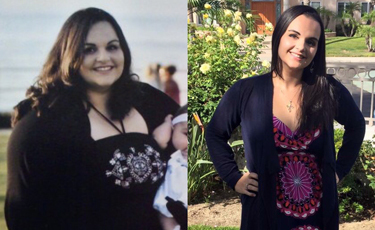 She began to eat healthier and exercising six days a week, and lost half of her body weight. But she still didn’t feel good. She went a full year only having one bowel movement a week. This prompted her to take stool softeners every day for a year and her pain became unbearable. She went to see a stomach specialist. After a myriad of tests, she learned that her liver and kidneys were in poor condition and she was suffering from iron, vitamin K, vitamin D and vitamin B deficiency. She was baffled when her doctors told her that she had to get worse in order for them to help her. Fast forward to Nancy’s introduction to PURE. A friend shared the products and opportunity with her and she began taking the products. Since then, she continued to find success in her weight loss efforts and now feels better than ever. * Nancy continues to exercise regularly, eat a healthy diet, and get adequate sleep. With help from the PURE products, her body is getting the nutrients it needs, and she enjoys improved bowel regularity. Her approach to Whole Health, which included adopting a healthier lifestyle, made all the difference in how she feels today. Nancy has a great passion to share PURE with others. Today she is a Gold Director and has immersed herself into learning and understanding everything she can about products by PURE. She is grateful that the products have had a direct impact on her life and is proud to be a part of a company that values healthy transformation. Nancy Cayetano lives with her family in Hemet, California. The experiences relayed by Nancy Cayetano is represented as her personal real life story as an individual who used our products; however, individual results may vary. We do not claim, nor should the reader assume, that any individual experience recounted here are typical or representative of what any other consumer might experience. This testimonial is not necessarily representative of what anyone else using our products may experience. Successful weight loss will consist of dietary modification and regular physical activity. * Weight loss results may vary based on individual users. Products offered by PURE are designed to be used in conjunction with a healthy diet and regular exercise. 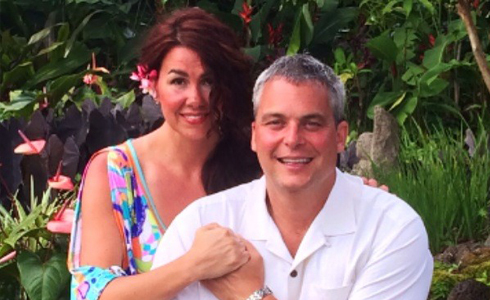 The views and opinions expressed in this article are those of the author and do not necessarily reflect the official policy or position of PURE Gen Holdings, Inc.
Brent and Lynette have been Independent Business Owners (IBOs) with PURE since 2012. They live in Oklahoma. Brent is a petroleum engineer and Lynette is an oncology nurse and an author of two medical books. Lynette also has a secondary bachelor’s degree in physiology with a minor in biochemistry. When introduced to PURE, Brent and Lynette were both working full-time jobs, but did not have the time to enjoy building their dream. They realized that their priorities were in the wrong order. They prayed for something else that would allow them to make a difference in their lives, the lives of their children and the lives of the people around them. In less than seven months they hit Diamond Executive rank. ** Lynette retired from her full-time practice while earning more money than her regular job while working less than a part-time job all from the comforts of home. ** She lost 25 pounds and her husband lost 35 pounds. * Their son joined PURE and hit Platinum Director when he was just 19 years old. They have traveled the world and have the freedom to spend time with their children. They are healthy and debt-free. Lynette believes to succeed with PURE you have to have a plan, and without a plan a dream is only a wish. She believes that if you want greatness in your life, you have to take action and not be afraid to change. The experiences relayed by Lynette Keys is represented as her personal real life story as an individual who used our products; however, individual results may vary. We do not claim, nor should the reader assume, that any individual experience recounted here are typical or representative of what any other consumer might experience. This testimonial is not necessarily representative of what anyone else using our products may experience. Successful weight loss will consist of dietary modification and regular physical activity.